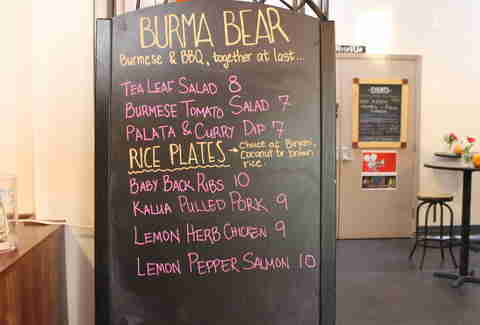 The tagline says it best: "Burmese & BBQ, together at last...", and it's about damn time. 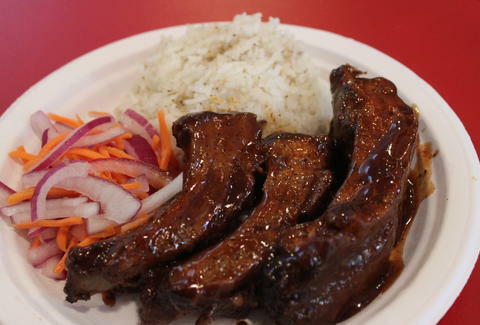 Go for the baby back ribs; the rub and sauce aren't too sweet -- they're made in-house with the perfect amount of kick and come with an absurdly good coconut rice. 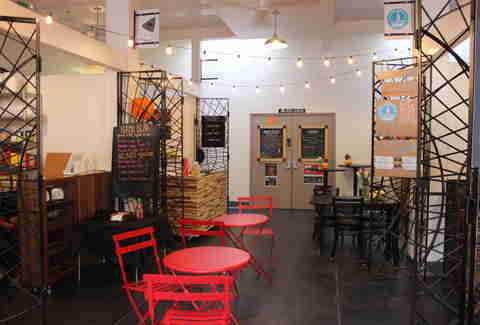 You can take Burma Bear's goods (and everyone else's) to go, or have a seat at one of the marketplace's tables, where you're also welcome to down some of the wine and beer that they sell in the back. Your life just got a little better, didn't it? 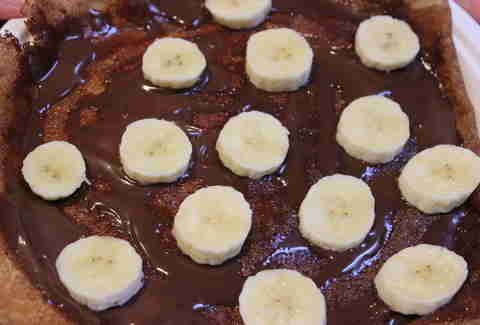 Whether you like sweet or savory, Crêpe La Vie has something to tempt you. Emilie Le Pessot trained as a crêpe master in Paris, so watching her whip up her crêpes from scratch is a real treat. As is putting the finished product in your mouth. 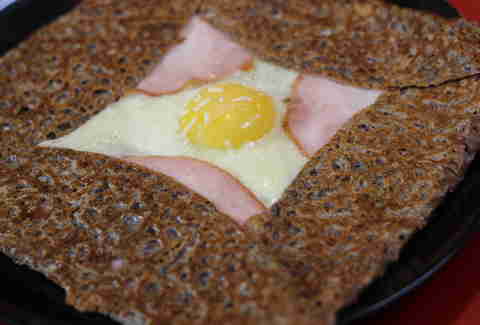 The traditional savory crêpes are made with organic buckwheat flour (which means they're gluten-free). Anything Emilie can make in-house, she does, including the lox (seriously), the seasonal jams, and even the "new t'ella", which, like the original, is so delicious you'll want to eat it by the spoonful. Life can't be all Burmese BBQ and authentic French crêpes (whhhyyyyyyyy? 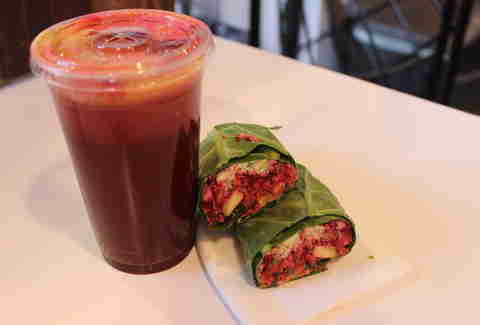 ), which is why RAW exists, slinging veggie & fruit-focused juices that are made on-site with organic ingredients. Choose from options like the Velvet Underground (beet, cucumber, orange carrot), the Haight Refresher (cucumber, pear, apple, lime, ginger), or, knowing you, a Hangover Hot Shot (a small, spicy shot of juice). 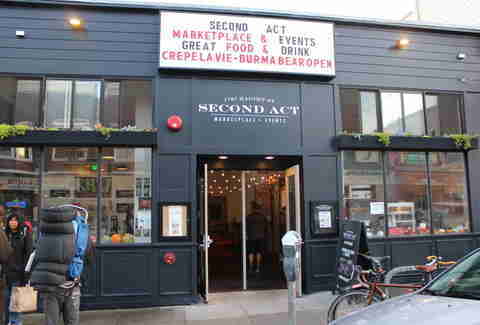 Second Act is also home to Eatwell Farm's Icebox, where you can get organic soft-serve ice cream and floats, and AйDa Piroshki: "Russian food like mama used to make". Oh, and besides the five retail spots, it's also an event space that hosts everything from films to private parties. Which means, yes, you can rent it out. Daisy Barringer is Thrillist's SF Editor and she's gonna go ahead and admit right now that she eats BBQ ribs with a fork and a knife. Give her grief on Twitter @daisy.